I read The Giver for the first time in middle school. I think I read it in about a day. I couldn’t get enough. It’s intriguing and different and you just can’t imagine a world without color and sleds and compassion. The last time I read The Giver was less than a month ago. It’s on my Book Challenge list for this year and I was excited to read it again (for the fifth time? Sixth?). I still love it and probably appreciate it more now than I did that first time in middle school. Whether I realized it at the time or not, the world in which The Giver and Jonas live highly influenced my book (which is still very much in progress). I’ve always enjoyed dystopian futures but what really intrigues me about the world Lowry created is that it’s really not that different from our own. Families live in homes, celebrate milestones, share life together. Children ride bikes, go to school, and treasure stuffed animals. Adolescents get jobs. A hierarchy of power exists. People have friends and conversations and challenges (easily solved challenges, but challenges). It all seems very normal, except for Jonas. Jonas is abnormal. And what’s interesting is that Jonas is abnormal because he’s normal. It’s like Lowry is asking (without asking) what is normal? Is normal being like everyone else? Having it all together? Not allowing yourself to be overcome by emotion or irrational feelings? Or are those the things that make us normal? So you think with all of these kind words about the novel that I would be super excited about the movie adaptation. In the past I always have been very excited about movie adaptations of beloved books. 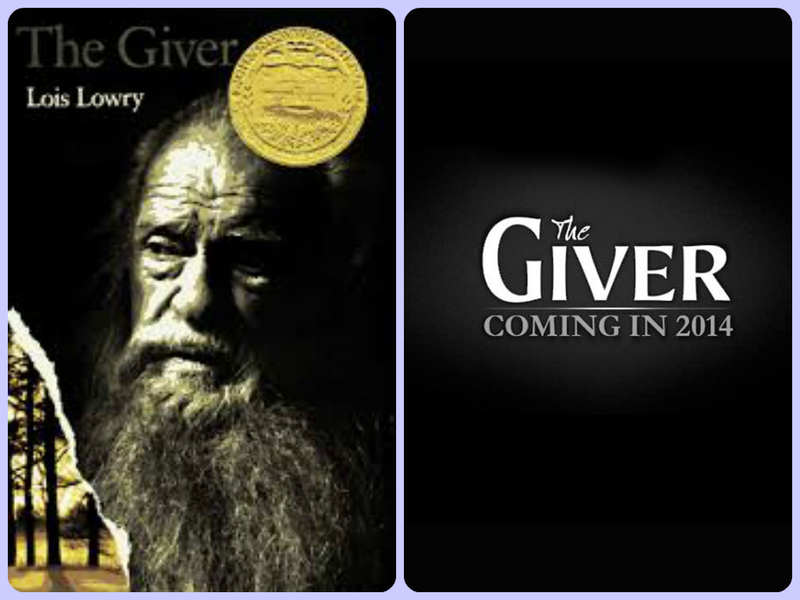 Maybe it’s the length of time that’s passed between the release of the book and the release of the movie, or maybe it’s the nostalgia I feel when I read the book that I know couldn’t be replicated in images and soundtracks – whatever it is, I was not excited when I first heard The Giver was going to be a movie. I was nervous and unsure. Dystopian novels – are we on our way to too much of a good thing? Now I’ve seen the trailer and let me tell you, I am more nervous than ever. While I know that nothing that any director could do could ruin what The Giver really is and really has been for me and millions of other readers, I am scared that what they are doing with the story, with the people, with the community will miss the point. Will reach for theatrics instead of subtle glimpses of true humanity. Why is Jonas so old? He’s supposed to be 11. Why is everything in color? That kind of cuts out a huge part of the plot development. Why, in the stinking trailer, are Jonas and Gabriel lifted up by a weird-o spaceship hovercraft looking thing? That complete gives away/ruins/changes the ending. Don’t get me wrong, I adore dystopian futures. 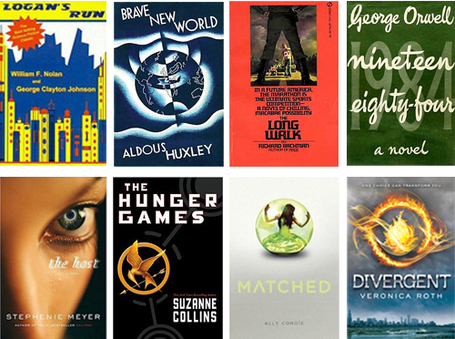 It’s my favorite genre, but with so many dystopian YA books to movies happening I’m worried that we’re going to burn out. I’m worried that we’re fantasticalizing simple stories in order to get viewers. I’m worried that the simplicity and depth of The Giver will be forgotten in the light of futuristic bikes and full color scenes. Honestly, I’m also worried that by the time I finish my book, people are going to be sick of reading about teenagers and their dysoptian future problems. I wonder what Lois Lowry thinks about all this. You nailed it. I’m seriously apprehensive about what should be one of the best movies of the year. I was really hoping for a Wizard of Oz style black and white to color moment. With the apple? I mean, right? That could have been such a great moment where this is just this one glimmer of color. I totally agree. That was one of the first moments I thought off, too, when I heard about the movie. Sigh. I hadn’t seen the trailer for this yet so I’m glad you posted it! I also thought “Why isn’t it in black and white? That’s the whole point!” And the whole sci-fi vibe is too much. I guess I always thought of it more of a “Pleasantville” vibe and not a “futuristic” vibe, but there definitely should not be spaceships either way. I think they played more off of the Hunger Games and Divergent series to keep people interested, because honestly I don’t think many tweens and teens would go to see a black and white movie. I guess you can’t make it too much like the book because then how will teachers know they watched the movie instead of reading the book? I am never satisfied at book-to-movie productions and I don’t think that will ever change. I will say I love the casting, except, like you said, Jonas is clearly an 18-year-old+ man child and not an 11-year-old boy. I didn’t know it was going to be movie! Such great news. Have you read the Handmaid’s Tale? It’s kind of disturbing but has a female protagonist. Hey, it is a fair question! Have you read The Giver? It is very not spaceshipy. I read The Handmaid’s Tale YEARS ago. I remember thoroughly enjoying it.